Can’t get straight hair, no shine, takes you hours to straighten your lovely Locks? 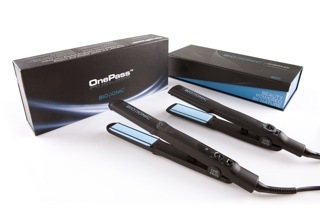 Look No further Bio Ionic One Pass Straightener will solve your Problems. Fastest Straightening Iron Ever" and has Silcone Speed Strips which aim to protect your hair "accelerates the straightening process by breaking down water molecules to penetrate the cuticle, adding extra hydration and manageability to all hair types". So this actually benefits your hair. Heats up really quickly which is a plus,it will make your Hair extremely shiny & Healthy ! This machine is perfect for girls who are serious about straightening their hair ! Straighten hair in half the time. True break-through in straightening iron technology. Ideal for all hair types and leave the hair smooth & Shiny.